Mark Anthony Barriga of the Philippines supposedly to face Jose Argumedo but the former IBF World Minimumweight champion withdrew because the Mexican is planning to get a rematch against Hiroto Kyoguchi. 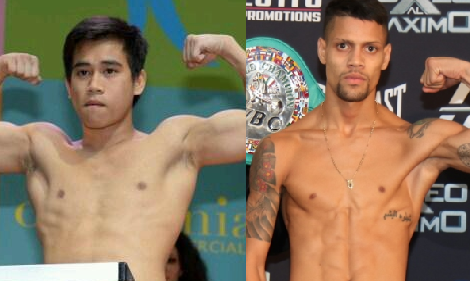 However, Janiel Rivera vs Mark Barriga is in works now for IBF eliminator fight! Hard hitting Janiel Rivera (16-2-3, 10 KOs) of Puerto Rico currently ranked no. 5 contender. Janiel Rivera is a former world title challenger but defeated by Adrian Hernandez via 3rd round TKO in 2014. The Puerto Rican knocked out Marco Antonio Sanchez in the 1st round in his last fight. Meanwhile Barriga no. 3 contender is coming off unanimous decision win over Glenne Calacar, a former Olympian and now has an undefeated pro record of (8W-0L, 1KO). Fight is possible to be held in the Philippines in April. Winner of this fight will face the IBF champion Hiroto Kyoguchi.